Algonquin Thunder #15 Jarrod McNaughton blocks the ball against Seneca Sting. 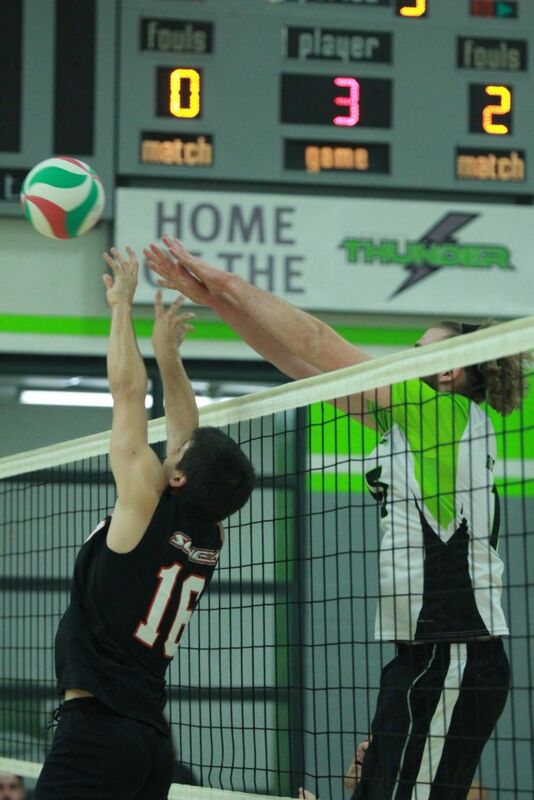 After a close game, the Algonquin Thunder men’s volleyball team lost three sets to zero against the Seneca College Sting. This is the first time the men have lost every set in a game all season. 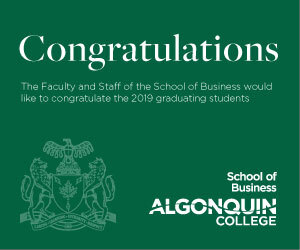 Bumping the ball into the rafters and blocking balls that went out of the court were a few of the mistakes that led to Algonquin’s third loss of the season. Head coach, Mohamed Shaheen, said there were a few things the team could have improved on in last night’s game. 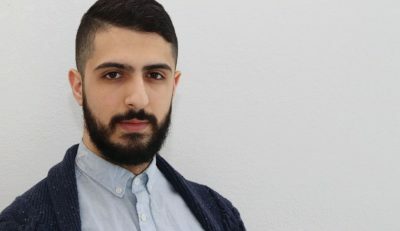 Shaheen said the team needs to work on communication and energy. There were a few times when the ball fell between two Algonquin players, both of them unsure of who was supposed to go for the ball. Shaheen said another reason Algonquin struggled was because the team has four players out due to injury, so their bench was limited. Even though #15 Jarrod McNaughton, who plays middle for the Thunder, had consecutive hits earning Algonquin points, it wasn’t enough to shut down the Sting. #8 Tom Collingworth, who plays middle as well, also had a number of hits and serves to help Algonquin stay close to Seneca throughout each set but it still wasn’t enough to take the lead and keep it. Algonquin was leading the first set but fell short 25-23. At one point in the second set it was 13-13 with each team gathering points back and forth, but Seneca pulled away again for the last few points. 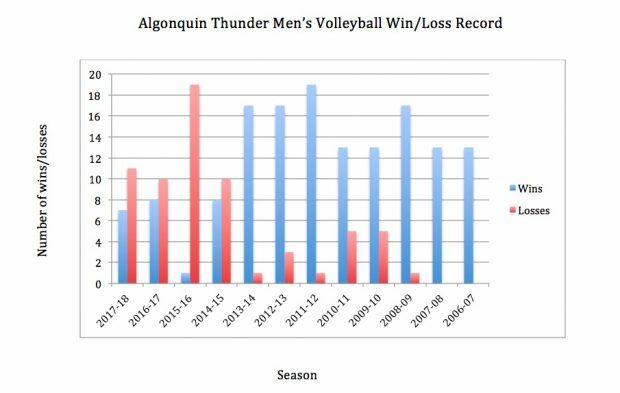 A look at the Algonquin men's Thunder volleyball team's record in the last 12 years. 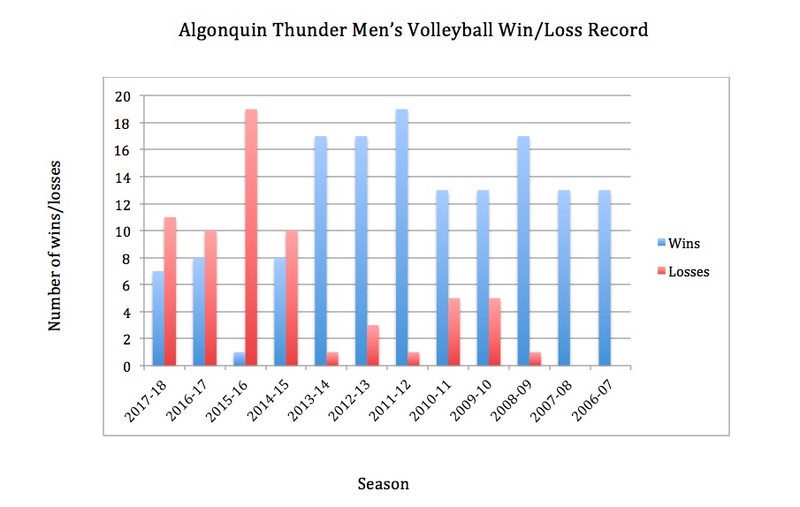 Algonquin Thunder men get stung Reviewed by Natalie Oattes on December 3, 2018 .